So fill up a bumper, nay fill to the brim, And let us e'en toast 'em together. Let the toast pass, &c.
From Sheridan's Comedy ''The School for Scandal." Soothes them with its lullaby. 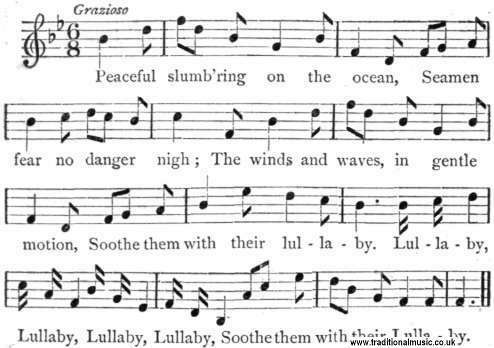 Lullaby etc. From Cobb's Opera "The Pirates." Tune by Storace.